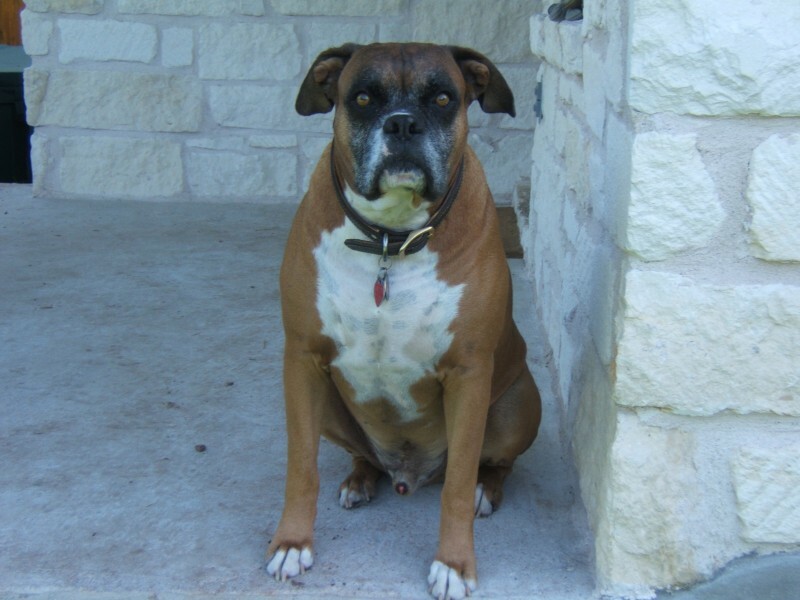 Rocky was a loving 10 year old boxer that lost his life to Cancer. We adopted rocky not realizing what a wonderful dog he was. Our time with him was less than two years. Rocky even though was abused by previous owner had nothing but love to whom ever he could share it with. He had endless boxer kisses and never left your side. Rocky loved to make you laugh, as much as he loved to eat. Rocky gave me one of his famous kisses as he took his last breath, a memory I will keep forever. Rocky will be missed by all who knew him. “Fat-round” you will all way be remembered!